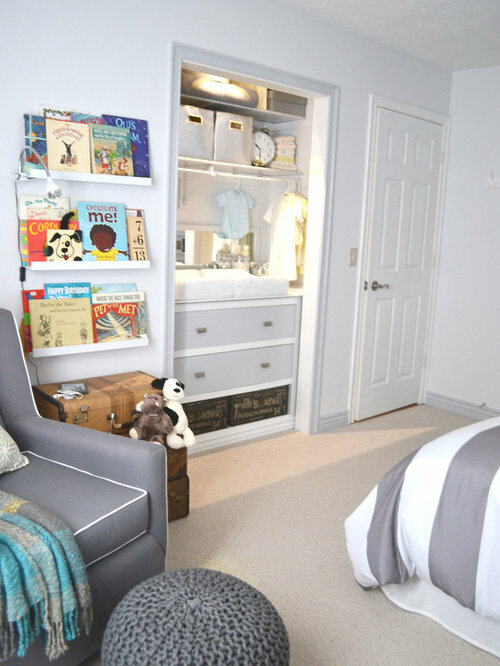 In anticipation of welcoming home a new baby boy, this dual purpose space is in need of a makeover. 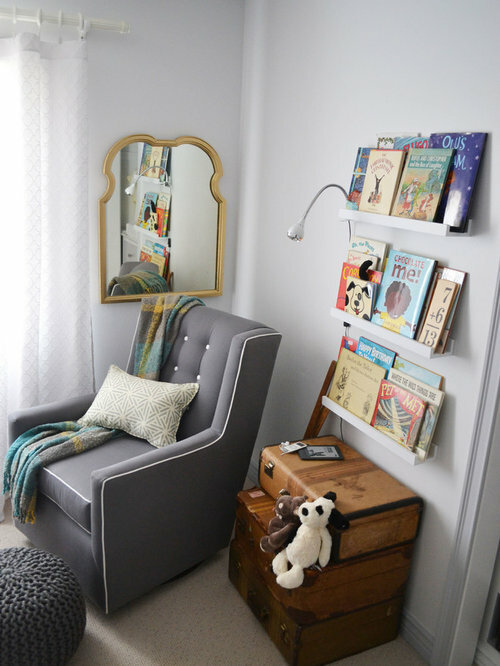 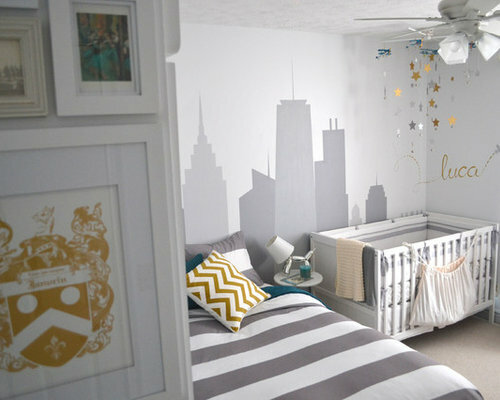 This interior design project tackles the ins and outs of creating room for a new baby into a shared space by a big brother and future house guests. 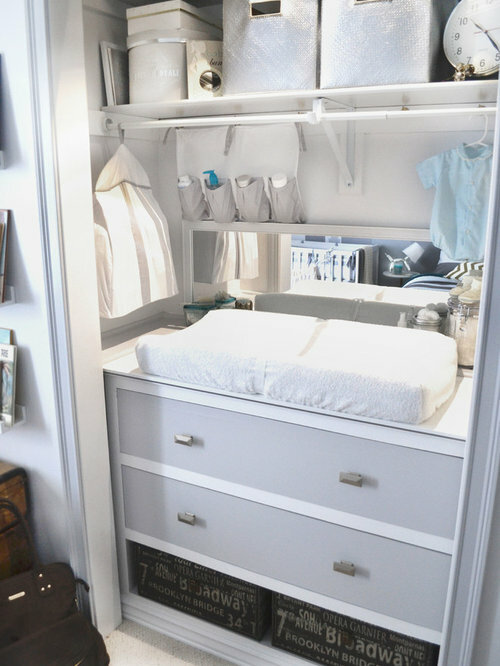 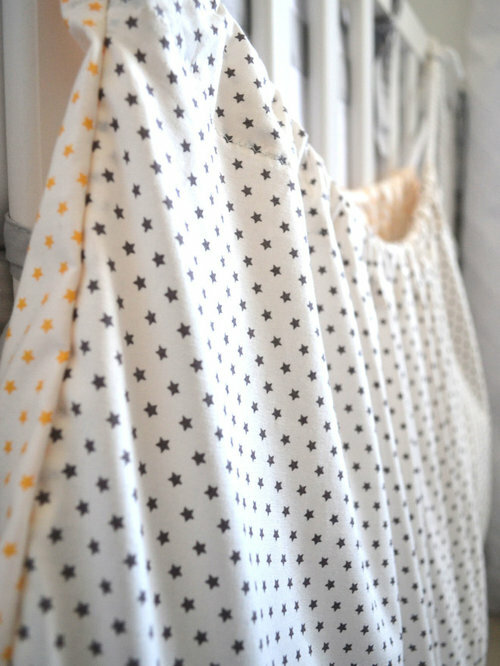 Choose simple and inexpensive storage for all the baby necessities rather than using products straight from the unattractive store containers they come in. 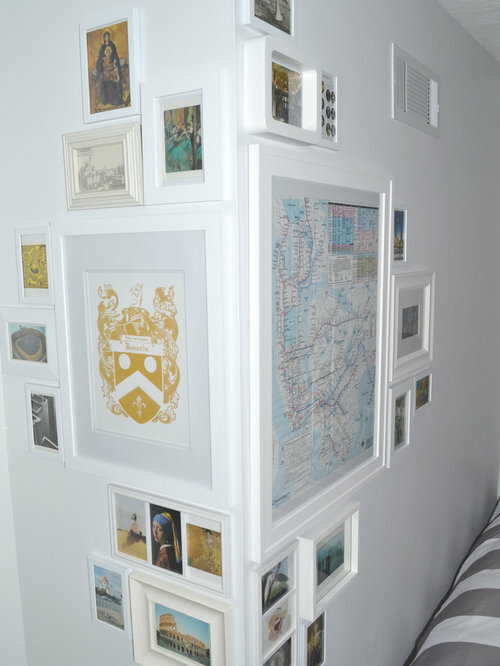 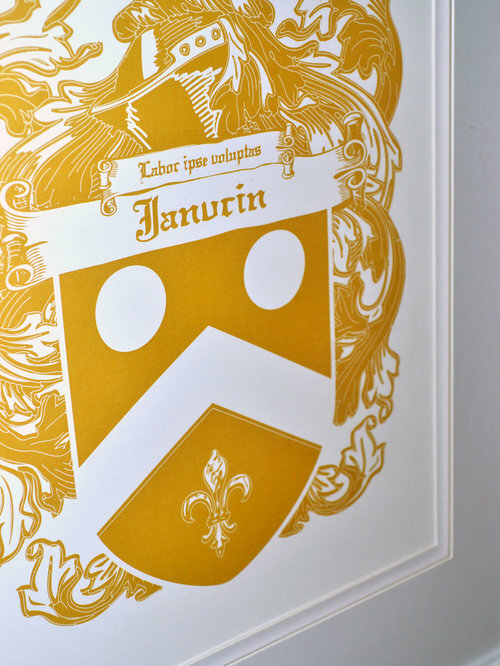 Personalize the room with art work like this framed color copy of family crest. 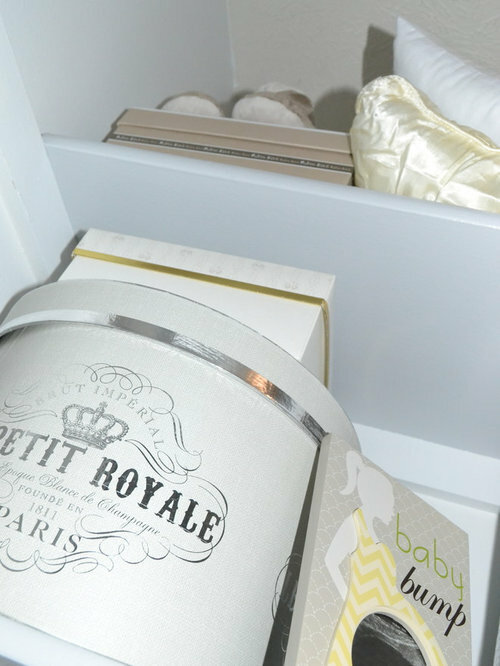 Stylish storage can be created from purchased bins to gift boxes. 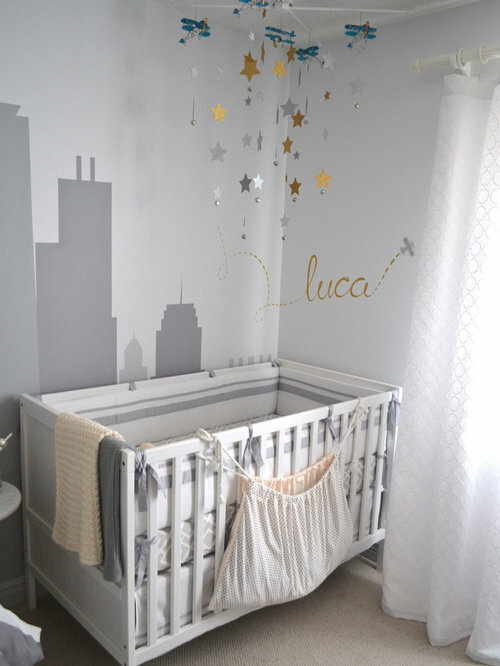 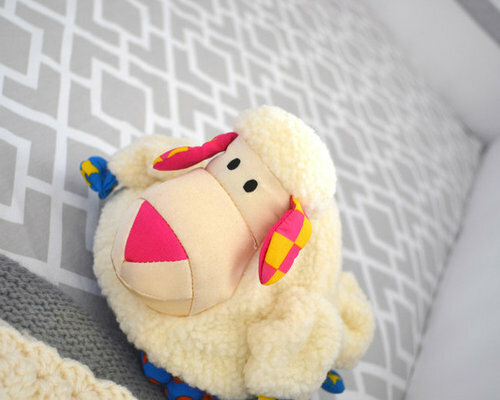 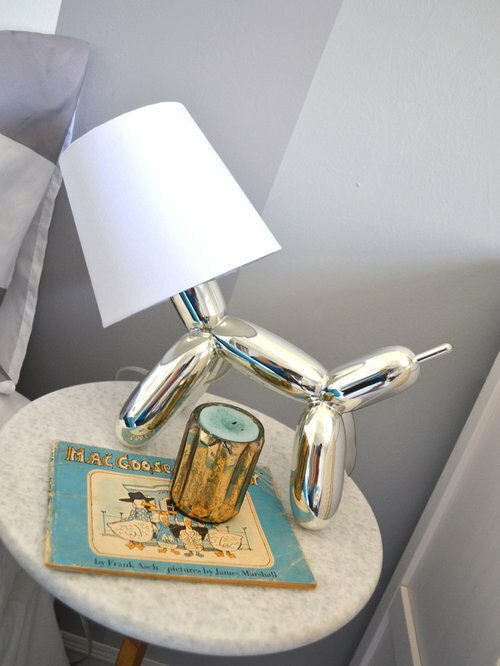 Sophisticated fixtures paired with whimsical fixtures keep the room appealing to guests and baby. 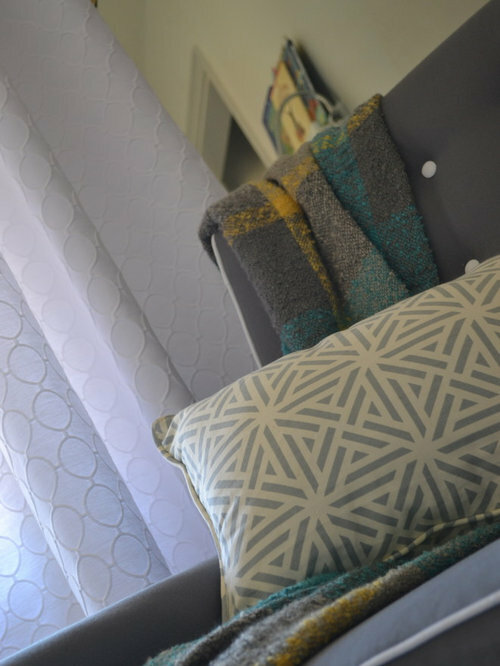 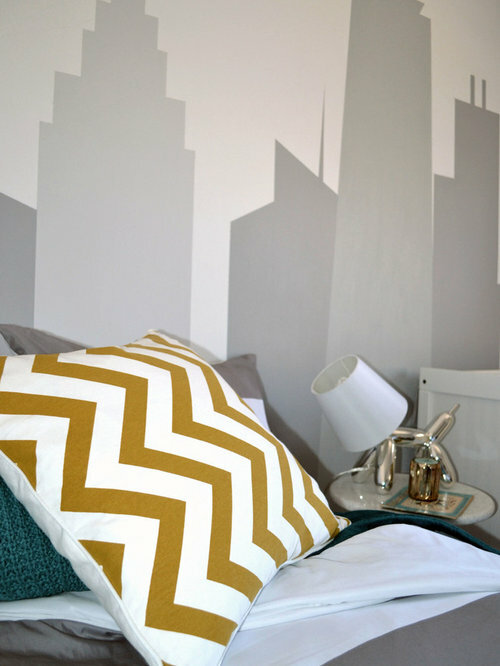 Mixed textures and patterns make a more interesting aesthetic for any room.